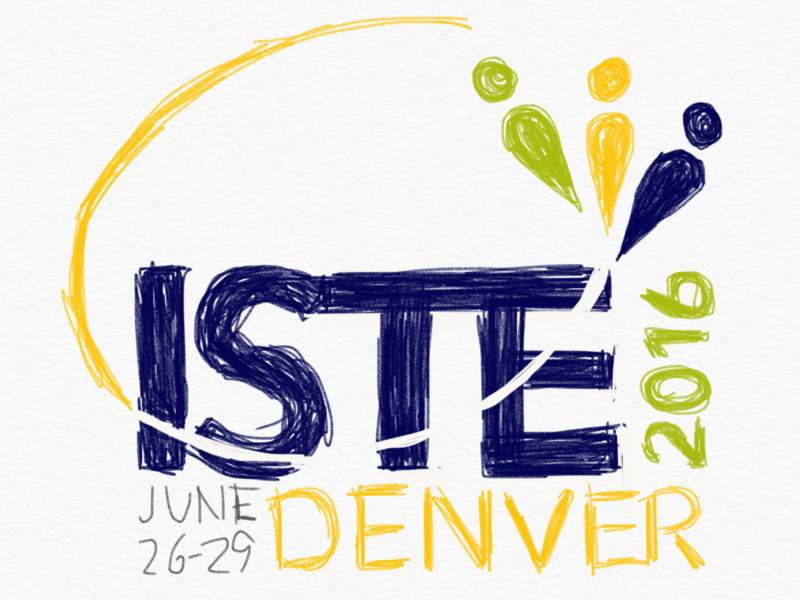 Over the last few days I’ve been in Denver for the ISTE Conference, along with 15,000 or so other educators. This is a tech conference. Yeah it gets geeky. Every year I go to sessions or walk through the vendor hall and get frustrated at the pitches of next best thing that will change education (and usually cost you a fortune). I get frustrated when I heard proposals from friends that were rejected because they didn’t focus on an app or a website. I even wrote a blog post about it one year after leaving the conference. But if you know me, you know that when I see that I’m wrong I’ll be the first to admit it. You see a big part of learning during ISTE for me is from conversations with my brilliant friends who are also my mentors. During a late night convo with Dean Shareski and Brent Catlett about 1:1 and getting teachers and leaders to use technology, Dean said something that really stuck with me (not surprising, he’s had more influence on me than anyone else in this field). He said that, it has to be about the technology, we can’t just ignore what is there. And he’s right. Sometimes schools and districts get so caught up in changing the pedagogy and how we teach that we forget to show the what and how when it comes to technology. Yes, we have got to change schools and what is happening in the classrooms. It can no longer be “sit and get,” students need to be creating, discovering the world beyond 4 walls of a classroom, and taking charge of their learning, I think everyone is getting this, but this cannot be at the level kids deserve without technology. We put so much time and money focusing on PBL and curriculum design but how much of that professional development includes new technology that can open doors for our students? 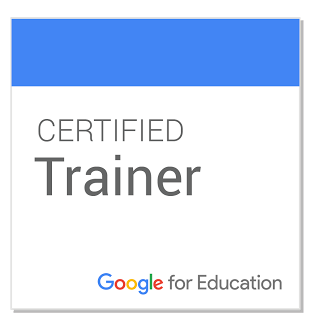 Are instructional technology specialist in your district being tapped for this PD or is their PD always focused on “how to use” type training? I so often see the only time technology is used for PBL is to research and/or make a Google Slide to show what they know. If we are taking how we teach our students to another level, then we need to take how they use technology to that level as well. Are you using robots to teach measurement, angles, and coding? Oh wait, most importantly, problem solving? Do your art students have an online digital portfolio? How often do your students collaborate online in a safe place? When you are teaching about a landform or country, do you just show pictures or videos or do you allow students to “visit” via Google Cardboard and now available Google Expeditions? Where in the country or world is that class that your class collaborates with located? How deep are your once a week digital citizenship conversations with students? Do you allow students to use Desmos for free when they can’t afford a graphing calculator? Did your students bubble in answers to show reading comprehension or did sock puppets give you a recap? The technology is there, so much of it becoming so affordable and available. Everything I mentioned above is something your classroom or school can afford. 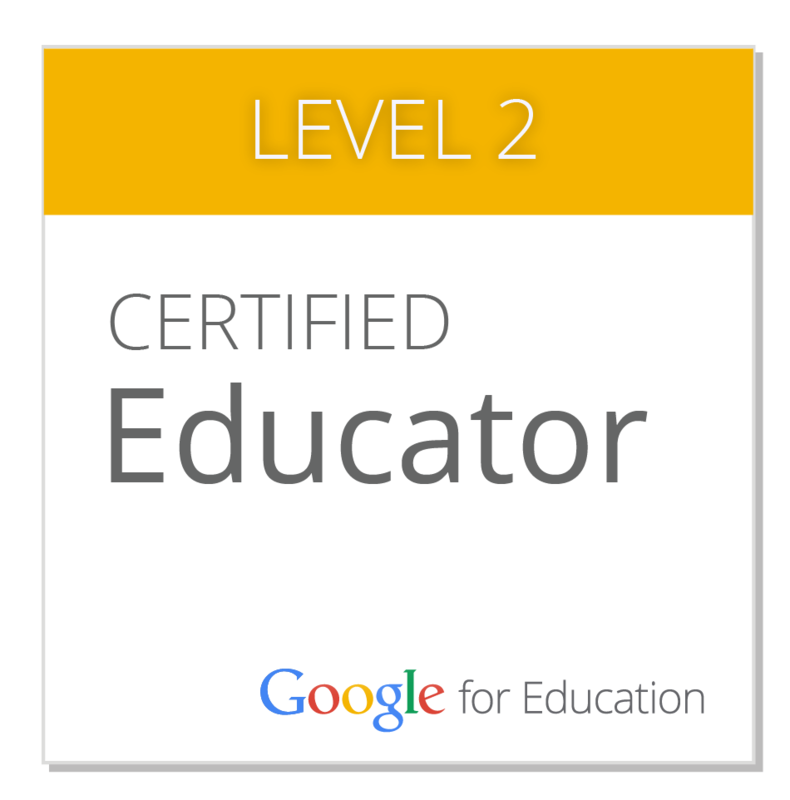 It kind of is about those tools because without them your students loose that empowerment and can do those skills. Should the tools be your main focus? Should you plan your lessons around that cool new app? No way but you can’t use that as an excuse to not use it. Your students deserve better. I agree with you that technology must be used to help both teachers to teach and students to learn. It empowers teachers and students. Tech gives teaches different methods to show and explain a lesson to a diverse class. Young students are much more tech savvy and more willing to use tech methods. Tying it all together by showing real life uses of the lesson taught and technology. Practical uses provide students with reasons to learn lessons and not just memorize facts. Amanda, you do a great job explaining and using technology. 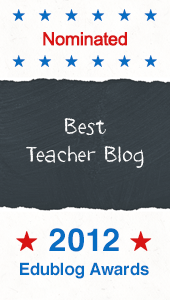 Your teachers and students are lucky to have you!! This post Amanda reminds me of Sue Dunlop’s HWDSB Accelerate Interview Posts: https://suedunlop.ca/tag/hwdsbaccelerate/. Sue is a superintendent in our Board, and she’s written a number of these posts this year. At the bottom of each one, she speaks about our Board’s TLE (Transforming Learning Everywhere) initiative. Sue mentions that the “driver is pedagogy,” but the “accelerator is technology.” When described in this way — as in your post — I think that technology really does matter. Thanks for the reminder! 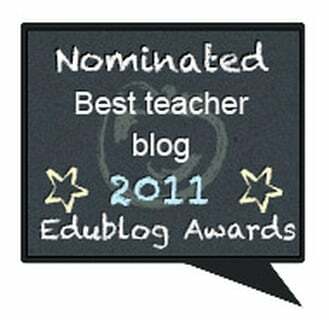 Great post Amanda, it is an important point especially as tech is often dismissed as the distraction from the pedagogical aspects of 21st Century learning. I remember reading somewhere that you can’t dismiss an ipad as simply ‘a tool’ as it is just too amazing a device, not having it would change your learning experience. I agree that the interactive and virtual experiences such as robots, google earth sock puppets, Minecraft and movie and music making apps give our students a completely different experience than before. We can’t ignore the technology. Thanks for sharing!